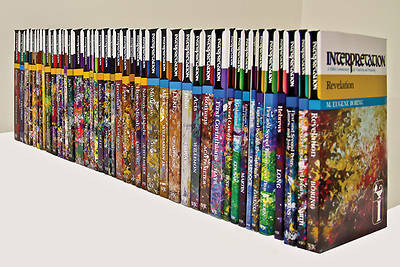 This compplete Old Testament and New Testament series includes all 43 volumes! Interpretation is a set of full-length, practical, and clearly written commentaries that helps teachers and preachers in their educational and homiletic work and lay persons in their study of the Bible. It bridges the gap between critical and expository commentaries and combines solid biblical scholarship with illuminating textual expositions. Critically acclaimed and widely used in classrooms and for teaching and preaching in the church, Interpretation commentaries are written by recognized scholars with experience as teachers and/or preachers.